We are one of the exclusive partners with the industry's leading developer in advanced technological solutions for the rapidly growing Mass Notification System (MNS) market, where delivering the right message to the right people at the right time is paramount to life safety. From catastrophic natural disasters to the threats college students face, there has been a heightened demand for effective, multi-layered emergency communications. LRC integrates the Mass Notification platform, to provide the perfect solution to instantly communicate to everyone – anytime, anywhere. Through concise, timely and event-specific voice and visual messages, the integrated MNS solutions provide real-time information to people in a building, site, or geographic location, communicating what to do in response to the threat. 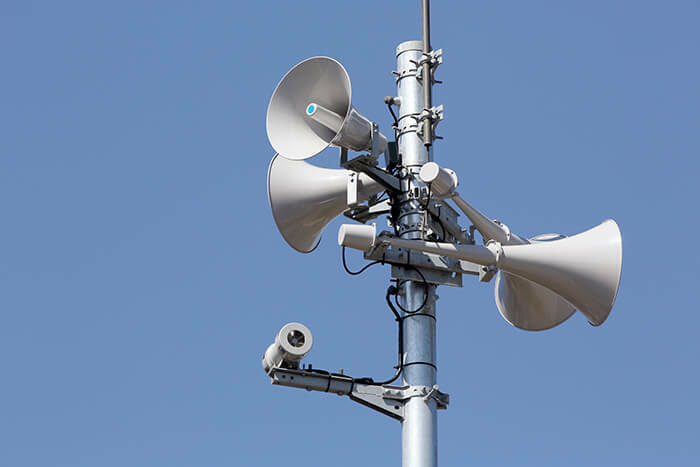 LRC’s reliable MNS solutions allows you to send alerts and potentially life-saving instructions to unlimited communication devices, including voice sirens, indoor and outdoor speakers, digital display signage, text messaging, voice calls, desktop alerts, and email notifications. Around the world, LRC is helping emergency managers and security professionals all across the Southwest region to deliver critical alerts when it matters most.